In this post, I intend to persuade you to avoid using chlorine bleach in your homes. Most likely, you have heard that chlorine bleach is not the most eco-friendly product, but you might not know what to use instead. So after I highlight the harms of chlorine bleach, I will detail bleach alternatives that are based on scientific research. I hope that after reading these posts, you will not miss the toxic fumes of bleach in your household. Chlorine in its natural state is a gas, so to make it stable and usable, it is reacted with caustic soda, or lye. As a result of the chemical reaction between chlorine and caustic soda, sodium hypochlorite (for liquid chlorine bleach) or calcium hypochlorite (for powdered chlorine bleach) is made. They are the active ingredients in your typical household chlorine bleach. 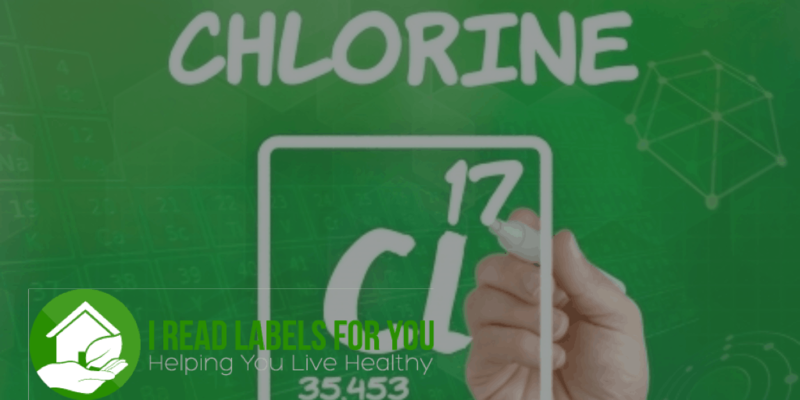 Are Sodium Hypochlorite and Calcium Hypochlorite Toxic? Both substances are potent lung irritators. Regular exposure to hypochlorite vapors may cause bronchitis with coughing, phlegm and/or shortness of breath. The good news is that neither sodium hypochlorate nor calcium hypochlorate has been classified as a carcinogen. But the bad news is that neither has been tested for their ability to negatively impact the human reproductive system. And unfortunately, this is not the end of chlorine bleach health effects. Under certain conditions, chlorine bleach may release chlorine gas. According to the Agency for Toxic Substances and Disease Registry, calcium hypochlorite (powdered bleach) decomposed in water to produce chlorine and oxygen. High doses of chlorine gas can be produced if sodium hypochlorite or calcium hypochlorite in the bleach reacts with other chemicals, specifically acidic chemicals such as vinegar, or ammonia-containing chemicals (including urine, which has natural ammonia). When first invented, chlorine was used as a weapon of mass destruction during World War I. Chlorine is registered as a pesticide with the United States Environmental Protection Agency (“EPA”) and is designed to kill living organisms. Experts have concluded that exposure to 430 parts per million (“ppm”) of chlorine in air for 30 minutes will cause death. So yes, chlorine is toxic. Of course, bleach sold for use to the general public is typically at concentrations of only 5.25% (although it can be sold at higher concentrations). For liquid chlorine bleach, this means that 5.25% of the liquid is comprised of a sodium/calcium hypochlorite solution, a stabilized form of chlorine. Even at these low concentrations, however, lethal doses of chlorine gas may be produced when reacted with other chemicals. The Agency for Toxic Substances and Disease Registry warns us that odor produced during these reactions might be an accurate indication of hazard. Have you thought twice before using bleach on a surface where vinegar was recently used? Have many of us studied chlorine bleach warning labels before the application of chlorine bleach? And one more thing, sodium hypochlorite may react with other substances such as surfactants and soap, to produce carcinogenic gasses called halogenated volatile organic compounds (VOCs) such as chloroform and carbon tetrachloride at significant concentrations. Believe it or not, there is no legal limit for the amount of chlorine gas allowed in our homes. Various state and Federal regulations limit the amount of chlorine gas allowed in workplaces, but nobody regulates how much is allowed in our homes. The Wisconsin Department of Health Services used a formula to convert workplace limits to home limits. Based on the formula, they recommend levels be no higher than 0.01 ppm of chlorine in the air. Most people can smell chlorine when levels reach 0.02-3.4 ppm. In other words, if you smell chlorine in your home, the level is too high to be safe, especially for children due to their unique body structure and behavior. Most health agencies warn us about short-term acute health problems associated with the use of chlorine bleach, such as dizziness, difficulty breathing, coughing, and death. What about the long-term consequences? The vast majority of chemicals used in consumer products have not been fully studied. In fact, experts have no health data for 85% of the 20,000 chemicals added to use since 1976. Unfortunately, chlorine is no exception and has not been fully studied. There are no officially accepted studies whether chlorine increases the risk of cancer or causes reproductive problems. The only long-term health problems detected so far from the use of chlorine are associated with lung disease and tooth corrosion. Most of the chlorine that enters lakes, streams, or soil evaporates into the air or combines with other chemicals into more stable compounds. Chlorine-containing chemicals that seep through soil down into groundwater can remain unchanged for many years. When chlorine combines with lake or river water, a class of chemicals that includes chloroform can be formed. I hope I was able to give you enough information to persuade you to be very wary of chlorine bleach. Notice that I have not even begun to talk about all those undisclosed ingredients that are contained in chlorine bleaches. If you for whatever reason have to use bleach for some reason – ventilate, ventilate, ventilate. The truth is that, with very few exceptions, we do not need chlorine bleach in our homes. Read my post about safe chlorine bleach alternatives, here. I try to limit our exposure to chlorine in the house, although do give in a few times a year for dire situations (mold or green grass stained uniforms). I do wonder about the negative health impact of exposure to chlorinated pools and hot tubs. I know a number if kids who swim 5 times a week year round in chlorinated pools. Did you you come across any concerns here? Salt water is a better alternative, but not as available for all those swim team kids. Hi Brooks! Yes – some exposure is beyond our immediate control. The great news is that we can detoxify. Stay tuned for posts on detoxifying methods. I would love you to subscribe to my blog so you do not miss my weekly updates. Thanks! Thank you for your prompt response. Your page was very informative. I would like to subscribe.